Vomiting is generally not a serious health problem. Most often, it is your body’s reaction to a temporary problem. Some of the common causes behind vomiting are overeating, drinking too much alcohol, food poisoning, stomach flu, emotional stress, pregnancy, and motion sickness. To overcome the feeling of nausea and vomiting, try some of these easy and simple home remedies. 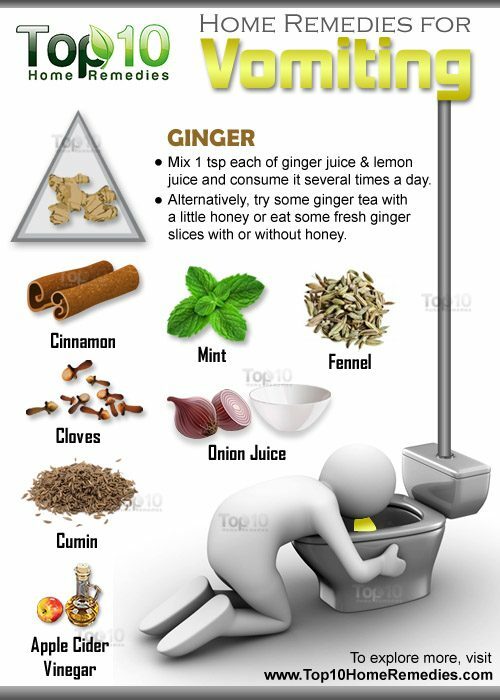 Here are the top 10 home remedies for vomiting. Ginger is good for your digestive system and works as a natural anti-emetic to prevent vomiting. 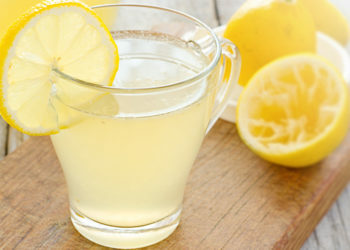 Mix one teaspoon each of ginger juice and lemon juice and consume it several times a day. Alternatively, try some ginger tea with a little honey or eat some fresh ginger slices with or without honey. Rice water helps alleviate vomiting, especially when it is caused by gastritis. While preparing rice water, use white rice not brown rice as it is rich in starch and easier to digest. Boil a cup of rice in one to one and a half cup of water. Cinnamon, also called dalchini, helps calm the stomach and treat nausea and vomiting caused by digestive problems. In a cup of boiling water, add one-half or one teaspoon of cinnamon powder. If you do not have the powder, simply use a cinnamon stick. Allow it to steep for a few minutes and then strain the water. Optionally, add one tablespoon of honey. Note: This remedy may not be suitable for pregnant women. Mint tea can provide relief from vomiting, especially when it is caused by upset stomach. Add one tablespoon of dried mint leaves to a cup of hot water. Allow it to steep for 5 to 10 minutes. Strain and drink this tea. If fresh mint leaves are available, you can simply chew them. Alternatively, make a soothing solution by mixing one teaspoon each of mint juice, lemon juice and one tablespoon of honey. Consume it three times a day. Apple cider vinegar can help ease a queasy feeling. It helps calm the stomach and aids detoxification. It also helps treat food poisoning, thanks to its antimicrobial properties. Mix one tablespoon of apple cider vinegar and one tablespoon of honey in a glass of water. Drink it and repeat as necessary. The smell of vomit can sometimes cause more vomiting. To freshen your breath and prevent further vomiting, rinse your mouth with one teaspoon of vinegar diluted in one-half cup of water. Cloves have soothing properties that help in digestion and can also cure vomiting. It is particularly effective for nausea and vomiting caused by gastric irritability. Chew some cloves or use a few cloves to make a cup of tea to treat vomiting. Another way to use cloves during vomiting is to mix some fried cloves with honey and swallow it. 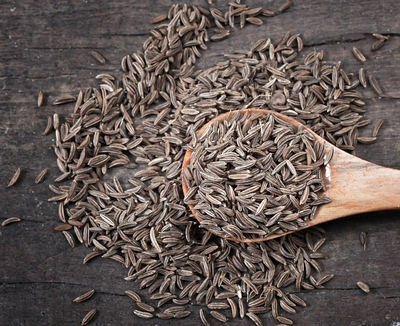 Fennel seeds aid digestion and ease nausea. They also have antimicrobial properties that help prevent and treat stomach flu that could be causing your vomiting. 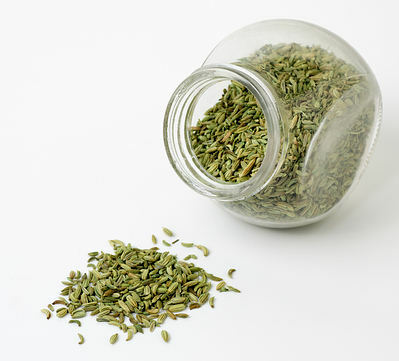 Add one tablespoon of crushed fennel seeds to a cup of boiling water and allow it to steep for 10 minutes. Strain and drink this tea once or twice a day. Simply chewing a teaspoon of fennel seeds will also help combat the problem. One of the best and easiest home remedies for vomiting is cumin. As it stimulates the secretion of pancreatic enzymes, cumin is particularly useful when the queasy feeling is caused by digestive problems. Mix one-half teaspoon of ground cumin seeds in warm water and drink it. You can also mix one teaspoon of cumin seeds and a pinch of nutmeg in a cup of boiling water and let it steep for a few minutes. Strain the mixture and then drink it. Another option is to add some cumin powder and cardamom powder to one teaspoon of honey and take it slowly. Onion juice can help combat nausea and vomiting, thanks to its natural antibiotic properties. 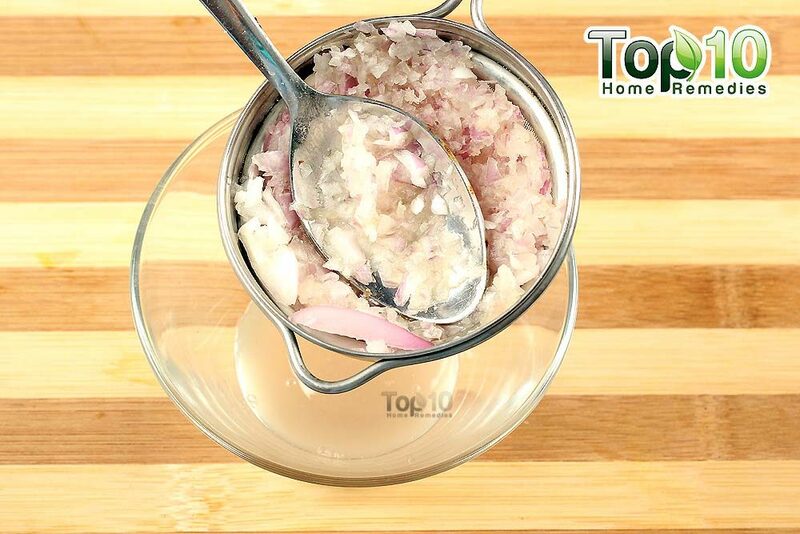 Mix one teaspoon of onion juice with one teaspoon of grated ginger. Consume this mixture at regular intervals to cure vomiting. Another option is mix two teaspoons of honey in one-half cup of onion juice. Consume one tablespoon of this mixture. Repeat as needed. This is a very common yet effective home remedy for nausea and vomiting. 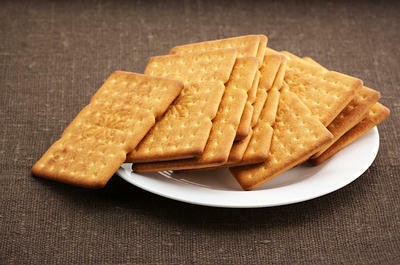 Crackers have a mild flavor and are easy to digest. They also give you nutrition and energy for recovery. Simply eat some saltine crackers, pretzels, or even a dry toast. When feeling queasy, take small sips of water to settle your stomach. Take a light, bland meal and eat slowly. Avoid strong odors such as perfumes or cooking smells. Take some rest but do not sleep immediately after having a meal. Do not brush your teeth right after eating as it may induce vomiting. These natural remedies should help make you feel better. If your condition does not improve, consult your doctor. I believe it going to work effectively.Simple home remedies Thanks so much. I wish you more inspirational home ? remedies. Great information there, I have always wondered the right way to go about this, thanks for showing me! 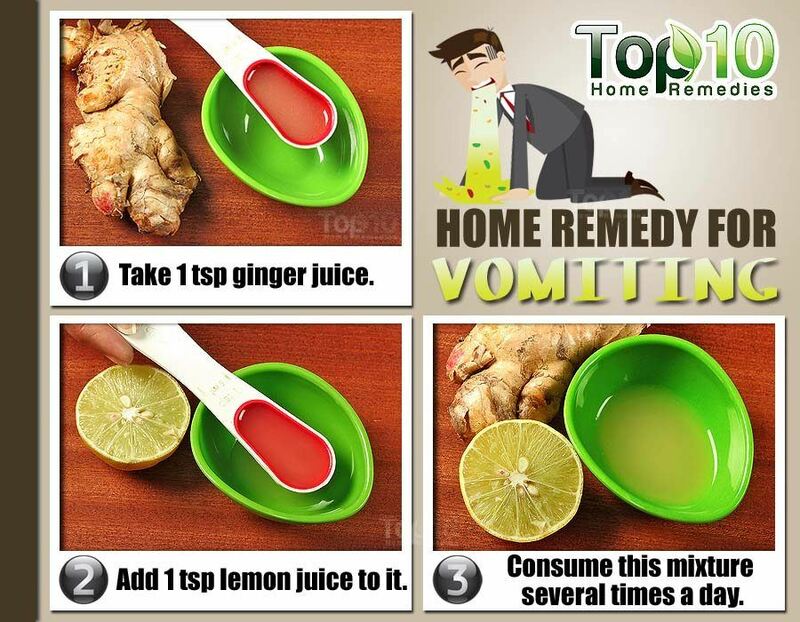 Ginger + Lemon juice + honey works like a magic pill for vomiting…. I woke up at 1 am cause i heard my mom was vomiting and I immediately browse internet for help and now she’s resting God bless you ?? thanks for the advice, its a great home remeady, i also tried it by mixing clove, ginger and mint and made a kind of paste out of it…it helped in a great way, immediately stopped the feeling of nausea and was good in taste! Miraculous the ginger juice works very effectively for vomiting sensation. Miraculous is the ginger juice. 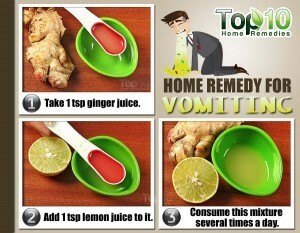 It works effectively for vomiting. Ginger and lemon tip is brilliant . It actually worked .